Blueberry jam tart is a dessert blend with a light summery feel to it. On the inhale you get a pastry flavour base, which has a texture similar to crumble. On the exhale you get the taste of ripe blueberries with a sweet finish. 50ml nic shot ready bottles. 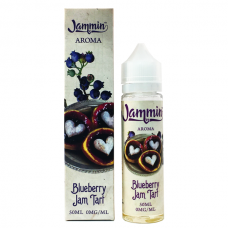 Blueberry Jam by JamminAvailable online or collect from our Birmingham U.K E-Cig Store.Blueberry Jam..